Install a custom designed framed shower screen from M.C Glass & Glazing for a stylish, affordable and long-lasting way to improve your bathroom. Framed shower screens are the perfect choice for family bathrooms. Strong and durable, a framed shower screen will keep up with the daily demands of busy family life for years and years to come. A framed shower screen can also be a more cost-efficient option than frameless shower screens. Why a Framed Shower Screen? All our framed shower screens are made from 4mm – 6mm Safety Glass and feature a full aluminium frame around the top of the shower, the bottom, and around the perimeter of each pane of glass. Framed shower screens are strong and low-maintenance, but we also design and install semi-frameless shower screens, and completely frameless shower screens for homeowners seeking a more luxurious look in their bathrooms. 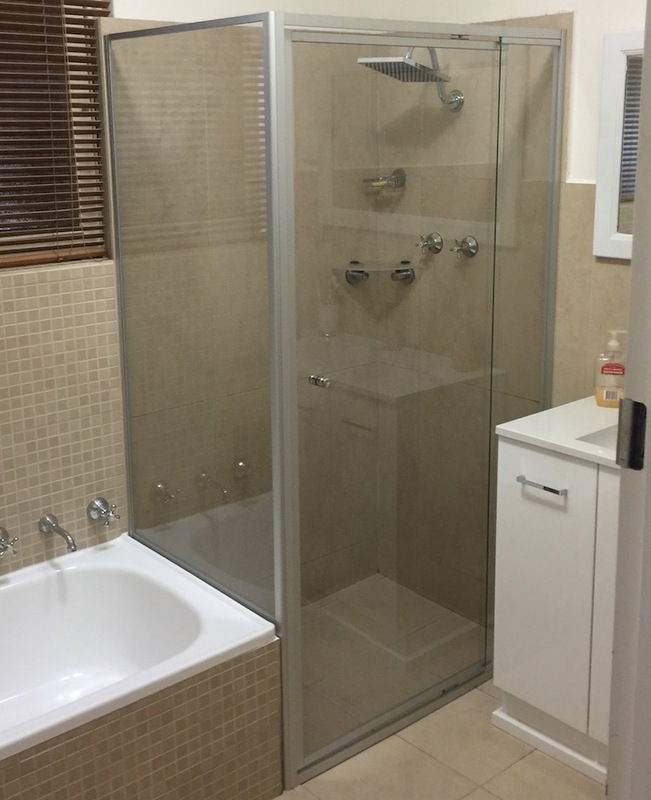 MC Glazing can design, build and install your framed shower screen to any size and shape you need, regardless of whether it’s standard or custom. We also offer several options to personalise the style and functionality of your framed shower screen. Choose from a range of colours for your aluminium shower frame, to ensure your finished shower complements your bathroom decor. You can also choose from sliding door or hinged (pivoting) door options for getting in and out of your shower. Want to know more about how M.C Glazing can transform your family bathroom? Contact us today to find out how we can help you choose, design and install the perfect framed shower screen for your home. MC Glass & Glazing is a member of the Australian Glass & Glazing Association and all our framed shower screens comply with Australian Standards AS1288.